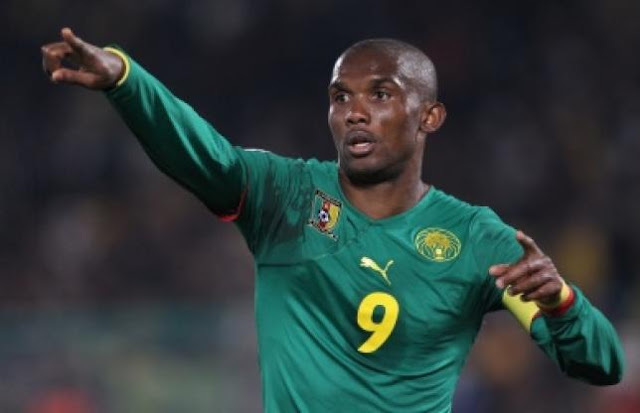 Cameroonian international Samuel Eto’o will host a charity match in Antalya, Turkey, next week Saturday which will feature some of the biggest names in world football. On 16 July the 35-year-old striker will host a match between ‘World Stars’ and ‘Turkey Stars’ in honour of the 10th anniversary of the Samuel Eto’o Foundation at the Antalya Arena, home ground of his current club Antalyaspor. The match has attracted some impressive names, with the likes of Eto’o’s former Barcelona teammates Lionel Messi, Xavi and Andres Iniesta, as well as Neymar, Eden Hazard and Arda Turan set to take to the field. The coaching duties will be shared amongst Fabio Capello, Jose Mourinho, Diego Maradona and Fabio Cannavaro, while the Africans on show includes the likes of Nwankwo Kanu, Demba Ba, Didier Drogba, Michael Essien, Kolo Toure and Pierre-Emerick Aubameyang. The Samuel Eto’o Foundation, which was established in March 2006, is a non-profit organisation which operates mainly in West Africa and strives to provide emergency aid, education, basic health and social inclusion for the disadvantaged youth.